For many people, learning is a life-long pursuit. Retirement offers ample time to pursue other interests, and taking college classes is an excellent way to gain new knowledge. College is also an obvious choice for seniors who may want to start a new career in their golden years, or get additional training to delay retirement. Although attending college can be notoriously expensive, many senior citizens can get scholarships to ease the burden of tuition, or even go to college for free. A number of scholarships specifically target older students who want to go back to school, but the majority of these are exclusively for women, given that they historically did not have as much access to higher education. For example, the AARP has given out hundreds of scholarships to low-income women over the age of 40 in the last several years. Younger senior women can apply to the Talbots Charitable Foundation, which gives away grants as high as $30,000 each year to women who are in their late 20s to their 60s. The Charlotte W. Newcombe Foundation is another option that helps to connect students who are older than 25 with funding. Some colleges offer free or reduced tuition scholarships to seniors, but each school's policy differs. 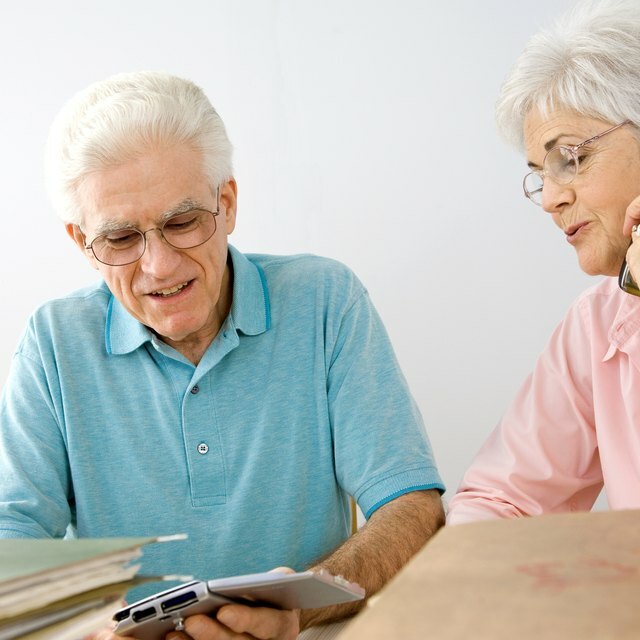 In some cases, seniors may simply be able to audit classes for free if there is room, but other colleges allow them to also earn credits when they attend free classes. Others offer reduced tuition. For example, Marygrove College in Michigan gives seniors a 50 percent reduction in tuition, while Kansas's Independence Community College awards senior scholarships, and North Carolina's Methodist University offers seniors tuition-free learning. In almost all cases, seniors still have to pay for their own books, activity fees and other costs. If you don't need a formal degree, look for colleges that offer educational classes specifically geared to seniors, which are usually lower cost and shorter in duration than a full semester. Some companies, such as Road Scholar, cater to seniors who want to combine travel with informal educational experiences, although this is a costlier option. Check your local colleges to see if any offer reduced or free tuition scholarships that meet your needs. If you are house-bound, contact online colleges to see if they offer senior scholarships. If you have your heart set on a college that seems out of your reach, see if you qualify for a senior citizen tuition tax deduction. Check Senior Resource (seniorresource.com/senioreducation.htm) and The Bernard Osher Foundation (osherfoundation.org/) for information on senior education.